PULITZER PRIZE FINALIST • NATIONAL BOOK AWARD FINALIST • Named A Best Book of the Year by The Washington Post and The Denver Post • Praised by Fareed Zakaria as “intelligent, compassionate, and revealing,” a powerful journey to help bridge one of the greatest divides shaping our world today. Carla Power writes for TIME and was a foreign correspondent for Newsweek. Her writing has appeared in Vogue, Glamour, The New York Times Magazine, and Foreign Policy. Her work has been recognized with an Overseas Press Club award, a Women in Media Award, and the National Women’s Political Caucus’s EMMA Award. She holds a graduate degree in Middle Eastern Studies from Oxford, as well as degrees from Yale and Columbia. 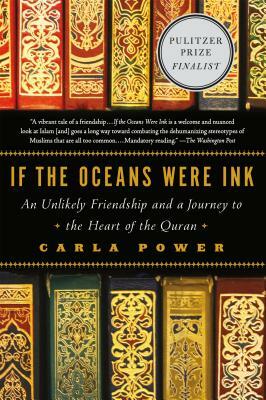 “If the Oceans Were Ink opens a door to the power of the Quran's lyrical and complex prose to inspire, comfort, and ignite hearts everywhere. A must read for anyone wishing to understand a global community's central spiritual source.” —Dalia Mogahed, Director of Research, The Institute for Social Policy and Understanding, and co-author of Who Speaks for Islam?